I met this band at the Progressive Rock festival in Göteborg, Sweden. They seemed like cool people and their description was interesting. This is their first real studio demo, although the band has recorded a lot of stuff to MD over the years. The opening 9 minute instrumental track is quite dark, but melodic. Reminds me of King crimson meets the Japanese band Mono to start and then it becomes much more uptempo and complex and then it comes back to this theme and ending with piano. Life Fastforward starts off quite funky and reminds me of some mid-70's Gentle Giant stuff. The vocals are delivered in an interesting way as the music moves back and forth between heavy and dramatic to this more melodic bass driven part. Cool track. I look greatly forward to hearing a full CD by these guys. Someone sign them, please. 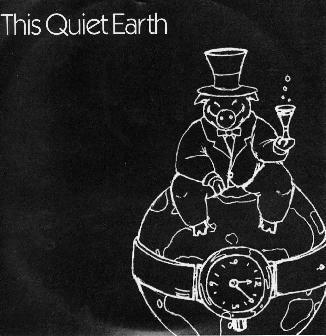 For more information you can visit the This Quiet Earth web site at: http://www.myspace.com/thisquietearth.